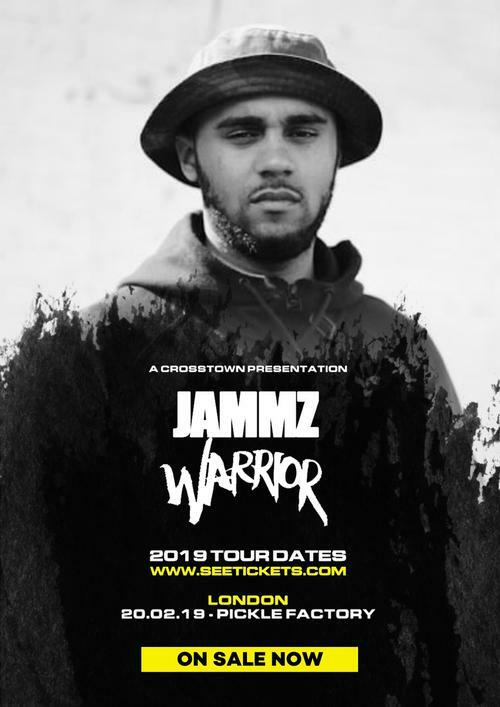 London grime MC Jammz follows up lauded 2016 EP ‘Warrior’ with the second, eight-track instalment, to be released just over two years since the first solidified his credentials as one of the UK’s most gifted grime lyricists. Inspired primarily by a desire to overcome the everyday obstacles and challenges that stand in between people and their goals – and as Jammz himself puts it, ‘being relentless and fearless in pursuit of them’ – ‘Warrior 2’ is a powerful and poignant body of work, bursting at the seams with the spirit and creative drive that sets him apart from his contemporaries. With the majority of the eight tracks also produced by Jammz himself, aside from ‘Need That Now’ and ‘Play That’ which features an all-star production team including Joker, Jack Dat and NYTA, the beats look to UK Garage, Dancehall and Jungle for inspiration, resulting in some of his most adventurous music to date.